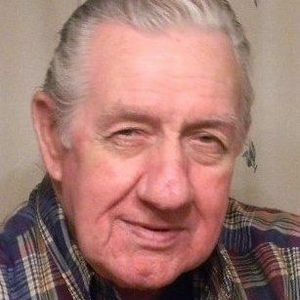 DRAKESBORO- Douglas Thomason age 75 of Drakesboro died Saturday May 23, 2015 at Muhlenberg Community Hospital in Greenville KY. Mr. Thomason was born January 16, 1940 in Muhlenberg County. He was employed by Faultless Caster in Evansville IN and was a member of Richardson Chapel General Baptist Church. He is survived by his wife Cola Revlett Thomason of Drakesboro, son; Curtis Thomason of Drakesboro, daughter; Deborah Cottrell of Powderly, grandchildren; Darren and Christopher Thomason, Dustin Cottrell, great-grandchildren; Aiden, Raven, and Avah Thomason, brother; David Thomason of Evansville IN. Funeral services for Mr. Thomason will be Tuesday May 26, 2015 at 2:00 PM at Tucker Funeral Home with Bro. Larry Lile officiating. Burial will be in Forest Grove Cemetery in Browder. Visitation will be Monday after 5:00 PM at the Funeral Home. Online condolences can be made at www.tuckerfuneralhomes.com. The beautiful and interactive Eternal Tribute tells Douglas 's life story the way it deserves to be told in words, pictures and video. doug, i dont know where to begin, you were such a great man, always full of joy and happiness, you could make anyone laugh or smile. you were like a grandpa to me. i wish we could all see you again, you were a one of a kind. im so lucky that i got to meet you, and become a part of the Thomason family. your gone, but never forgotton, we all love you so much... love your grandson, Chris, Granddaughter in law, Mariah, Great Grandson, Aiden and Great Grand Daughter, Avah. I love you papaw, not a day goes by that i dont think of you, my heart breaks everyday, i miss you so much, i loved all the memories we made together, you were my rock, i wish you was still here so i can talk to you, i wish i could just give you a big hug one more time. you are gone, but never ever forgotton.. i love you so much papaw, until we meet again, love your grandson, Chris. You and family members are in our thoughts and prayers. We are so sorry for the loss of your husband, father and grandfather Doug. You all are such wonderful people and friends. May God comfort you during this time. Our thoughts and prayers are with you all.